We don't mess around with the cat size Furminator! We get the job done! We carry both the long hair and short hair large dog size versions. We just find this more effective. 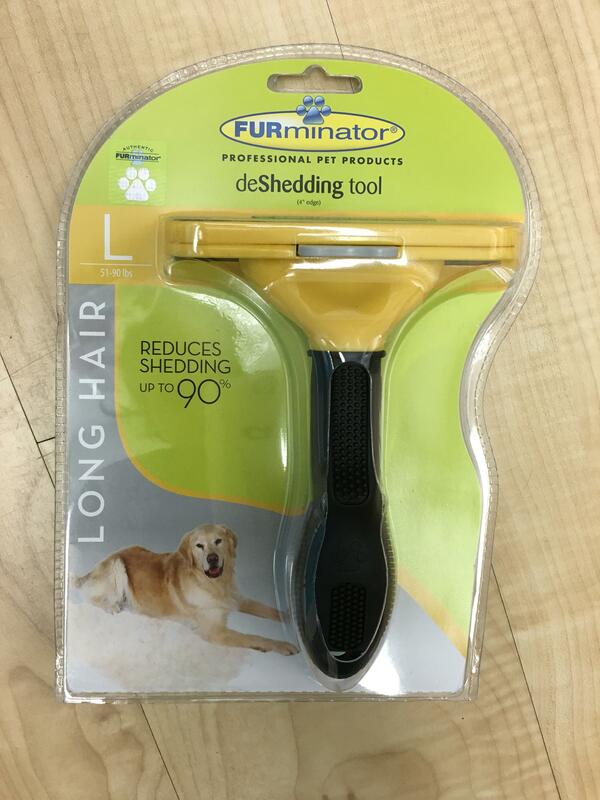 The Furminator is what we call a "finishing tool" and should be used after all of the mats, tangles and bulk of the hair is removed. The Furminator does not cut the hair, but thins the coat and will continually remove hair. It is important to not over use this grooming tool and not to use it in only one location or you will create bald spots in your cat's coat! The large dog Fruminator is the size that gets the job done!